Olympus offers solutions that help protect patients and the staff that cares for them. 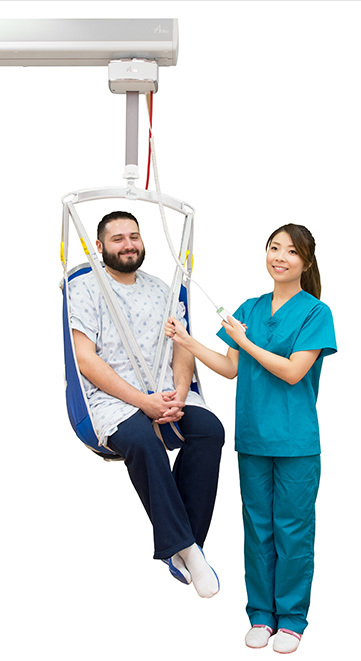 Olympus invites you to visit booth #1453 for a LIVE demo on Safe Patient Handling and O.R. Safety Solutions and pick up your CE study guide! Join us for a patient handling demo of the integrated O.R. Patient Lift, learn how to create a safer operating environment for surgical staff with K “Lights-On Laparoscopy” and discover how to reduce the exposure of harmful smoke with our Automatic Smoke Evacuation through our live presentations. 1. Stenger, K., L.A. Montgomery, and E. Briesemeister. 2007. Creating a culture of change through implementation of a safe patient handling program. Critical Care Nursing Clinics of North America. 19(2): 213-222. 2. Yordy, A. 2011. Case study: Sacred Heart Medical Center. The Hastings Center Report. 41(1): 25-26, 52. 3. Celona, J., E. Hall, and J. Forte. Making a business case for safe handling. Presented at the 2010 West Coast Safe Patient Handling and Movement Conference. September 2010; San Diego, California. As cited in: Gallagher, S. M., W. Charney, and L.D. McGinley. 2010. Clinical nursing education series: Rethinking lift teams. Bariatric Times. 7(11): 18-23. 4. Lancman, R., K. L. T. Wright, and R. Gottfried. 2011. Safe Patient Handling in New York: Short Term Costs Yield Long Term Results. 5. Nelson, A., M. Matz, F. Chen, K. Siddharthan, J. Lloyd, and G. Fragala. 2006. Development and evaluation of a multifaceted ergonomics program to prevent injuries associated with patient handling tasks. International Journal of Nursing Studies. 43: 717-733. 6. Siddharthan, K., A. Nelson, H. Tiesman, and F. Chen. 2005. Cost-effectiveness of a multifaceted program for safe patient handling. Advances in Patient Safety: From Research to Implementation. 05-0021-1(3): 347-358.